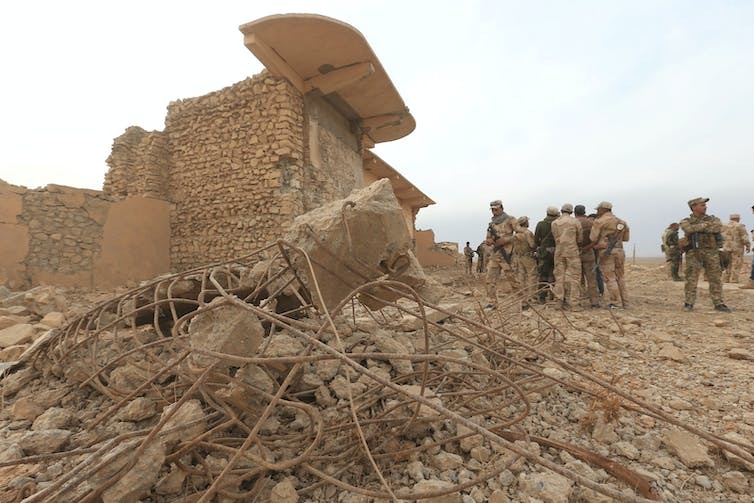 Iraqi soldiers gather near the remains of wall panels and colossal statues of winged bulls that were destroyed by Islamic State militants in the Assyrian city of Nimrud, late last year. 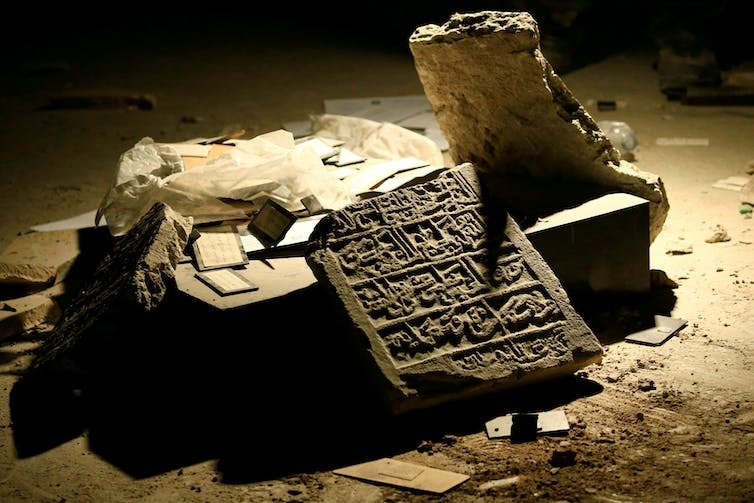 A damaged artefact at the Mosul museum, where Islamic State militants filmed themselves destroying priceless statues and sculptures in 2015. 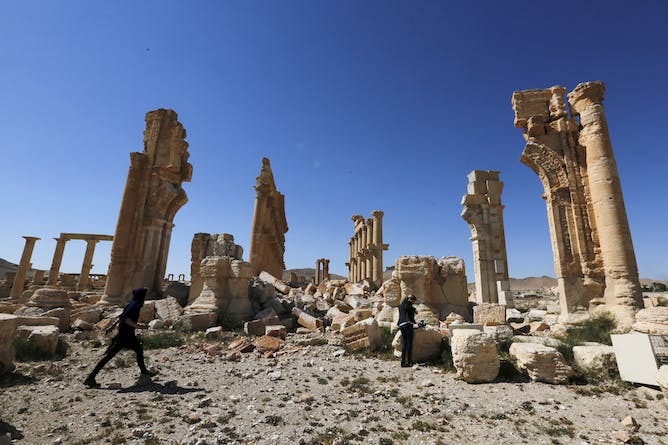 Jounalists walk near the remains of the Monumental Arch in the historic Syrian city of Palmyra in April last year. 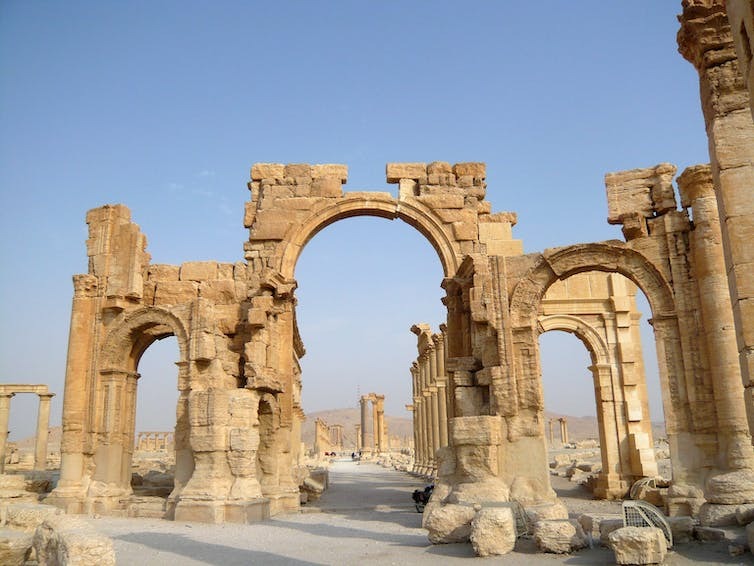 Palmyra’s Monumental Arch in 2010. 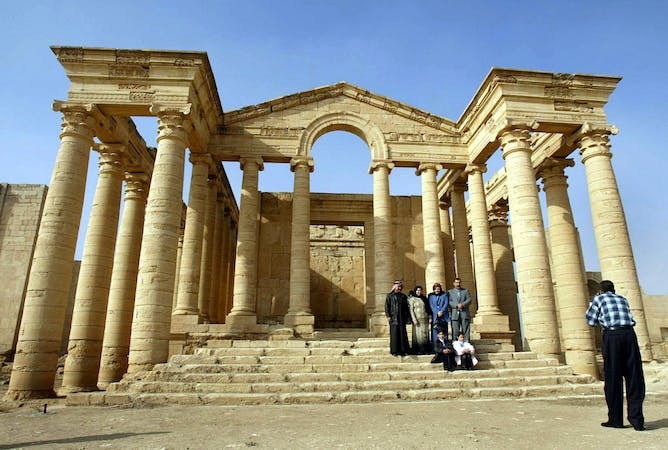 Hatra in 2002, before the carnage.